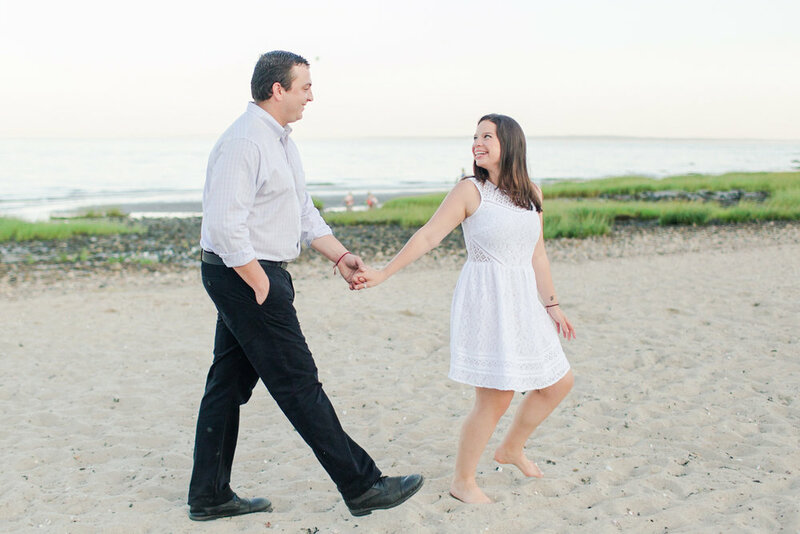 I am so excited to relive the moments of this sweet session from last summer in Darien, Connecticut! Amanda and Heath's romantic engagement session was recently featured on How He Asked by The Knot, one of my favorite blogs for wedding proposal stories. 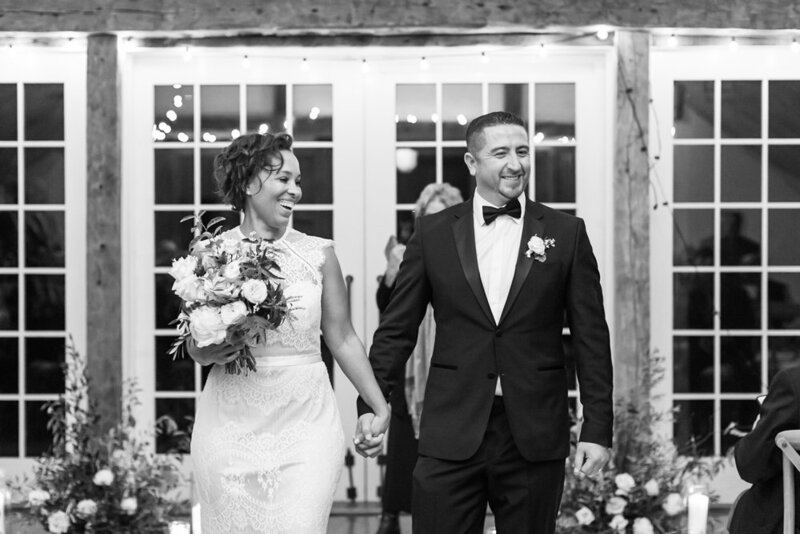 These two are the definition of #relationshipgoals, because this is the second blog their engagement session has been featured on! I photographed this gorgeous session alongside one of my very best friends, Kristina, who also happens to be a fellow wedding photographer and owner of Kristina Staal Photography. We also teamed up with Kate & Co. Events, who chose a beautiful wardrobe for Amanda and styled a romantic picnic for the couple! 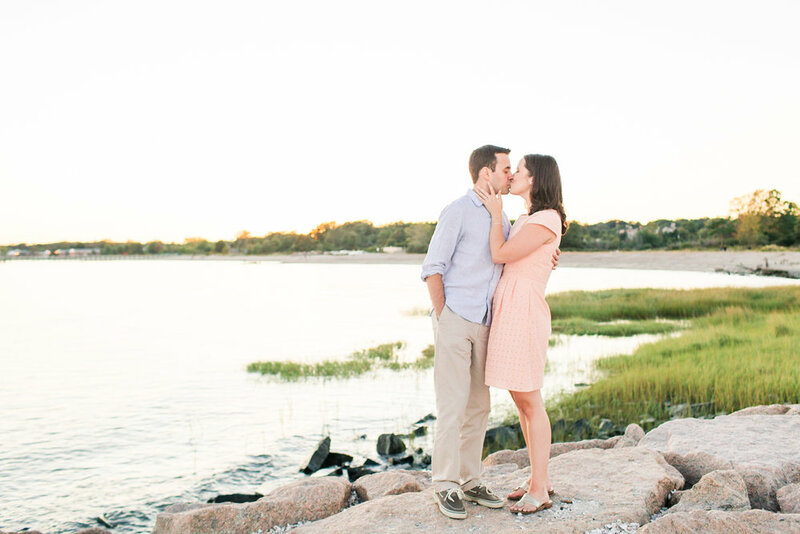 I absolutely adored the waterfront nature preserve where we photographed their session. 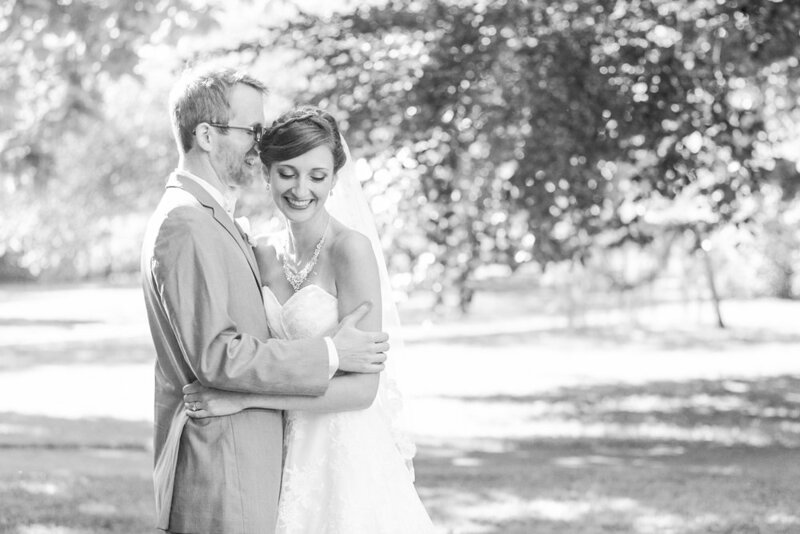 The summer sun and New England coastal vibe were a perfect compliment for these midwest transplants! After months of waiting and planning, these two lovebirds are finally tying the knot next month in Texas!! Head over to How He Asked to view the full feature! You can view Amanda and Heath's full engagement session here, or read about their proposal story on How He Asked!